Better together, Microsoft’s dream has come true unlike some idiots will like you to believe a year ago. They’ve been promoting their 3-Screens and the Cloud vision for some time, and it is great to see this dream come true in our lifetime. It is the vision of the ability to start an action on your smartphone while on the road, improve on it on your laptop/tablet and view it on your 10-feet vision device like a big-screen TV or projector. Imagine seamlessly starting a game on your phone, continue it on your tablet, and finishing it off on your XBox; all this while not loosing your score points through the power of the cloud like SkyDrive. As you can see, there are 26 Apps right now that allow you to work seamlessly across multiple platforms. Of course not all apps listed here transverse all three platforms. The only Apps that truly cross the 3 barriers are mostly games like the Skulls of the Shogun that you can play on your Windows Phone, continue on your tablet or Windows 8 device and of course complete on the Xbox. 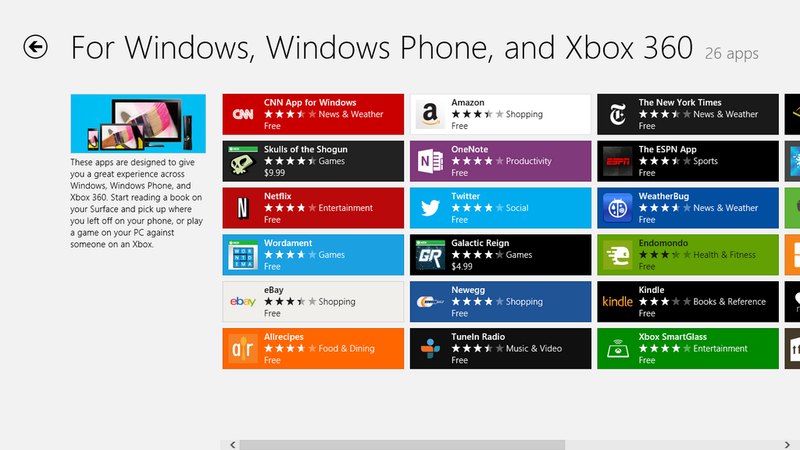 Most of these apps crosses just the Smartphone and PC/Tablet divide, like the CNN and OneNote app. The CNN app for example could easily have become an XBox Video App if the Devs want. Talking of OneNote, we could add other Office Apps like Excel and Word to this cross-platform bunch, and the funny thing is these office apps are truly 3-Screen apps as you can project them to a big screen like a Projector. Xbox is not only the Big-screen envisioned by Microsoft. So there you go. Welcome to this world of seamless usage of application. 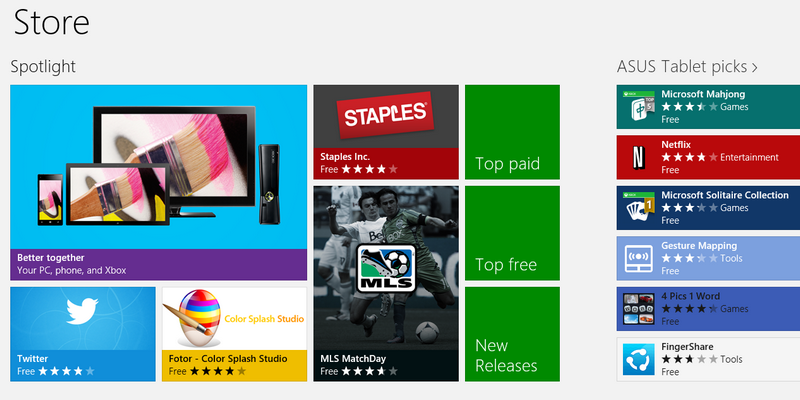 This is just the birth, we can expect more awesomeness from Microsoft judging from their future vision videos online. Welcome to Device-independent UX era. We haven’t reached that stage in which the same application works across multiple platform. Each App has its own app but connected via the Cloud. That is the promise of 3-Screens and the Cloud. Sorry you’re disappointed. Yes, unified Store is another doable story. That is surely coming if we can believe the rumors coming out of MS campus.